Breakdown Your Palette - the book! 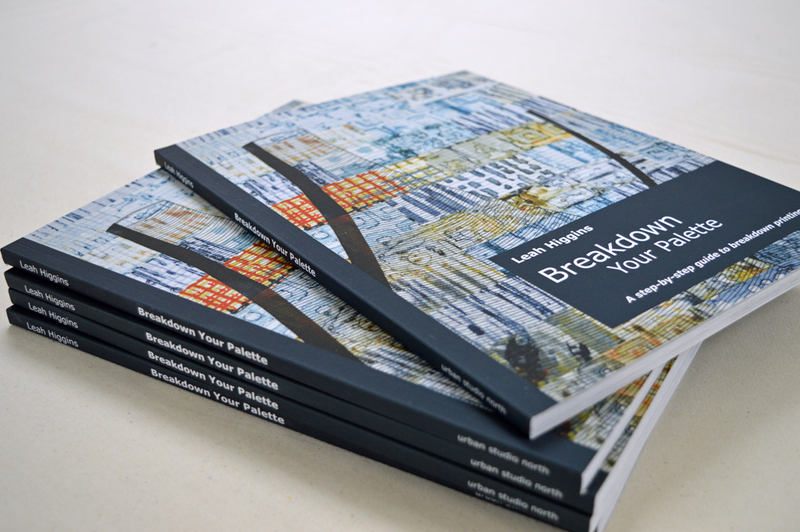 I am so very excited, and rather proud, to announce that my first book ‘Breakdown Your Palette’ is now finished and available!! It is a step-by-step guide to breakdown printing spread over 124 colour pages with over 350 images. If you read this blog, or follow me on Facebook or Instagram, you will already know that I love, love, love breakdown printing or deconstructed screen printing as it is called in the US. The two step process in which dye is first added to the screen then the screen printed creates the most wonderful complex, organic often textural prints that can’t be achieved by any other surface design method. Whilst it is the unpredictability of the process that often produces the magic it is possible to influence your outcomes. To create pieces of fabric that are recognisably derived from your personal inspirations and colour choices. Breakdown Your Palette is a mixture of detailed ‘how to’ sections and, hopefully, inspirational examples. I show you how to breakdown print using Procion dyes on cotton, silk and other natural fabrics. In the book you will learn how to use recycled, re-purposed and easy to find tools and equipment to start breakdown printing at home. 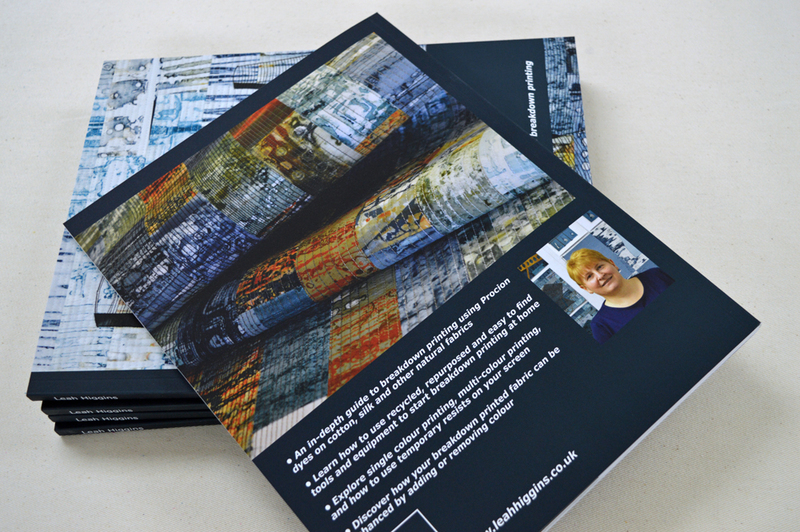 You will learn about single colour printing, multi-colour printing and how to use temporary resists on your screen. And I have included a section on how your breakdown printed fabric can be enhanced by adding or removing colour. The book contains recipes and details of the dyes and other chemicals you will need along with a list of UK stockists. There is a brief section on colour blending and lots of little asides about how I work in my studio. The book costs £18. It can be purchased on my website here with delivery cost added at checkout. I can post world wide. And of course I will have lots of copies with me at the two shows I am doing in March and when I have my solo exhibition at Festival of Quilts in August.